Wedding planning can be fun and exciting. However, it can also get confusing trying to keep everything in order to make sure things aren’t lost or misplaced; this can be especially hard if you work during the day and you are trying to organize your wedding in your spare time. I have provided some great organizing tips to make sure you keep everything together and make planning your wedding less stressful. 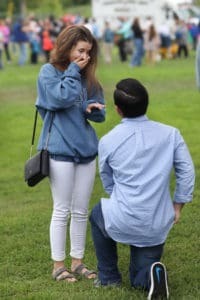 It all starts after the proposal. Create a separate wedding email account, this will help all those wedding related emails go to one place so nothing gets lost and you don’t have to search for them. I know this sounds silly but it will truly save you a lot of time. If you think of your registry, guest list, emails to venues, florists etc. they will begin emailing you back (many of them, because let’s face it you don’t just contact one.) and you want to be able to find them all in one place. Once you made your guest list keep a checklist. When people RSVP you can check off those that are coming and those that regretfully can’t make it. Keep this list either in your new email account or on the fridge where you see it often and can be near it to check off who is coming and who isn’t. This will be helpful to do as you get the RSVPs back so you don’t have to do this all at once. This step doesn’t seem as important but trust me you will thank me for this later. Making a google document with all your guests information will not only make sure you get invitations to all you are inviting, but you will have this already there and ready when you send out thank you cards.This will make your newly married life so much easier. If you are brave enough to have littles at your wedding make sure there is something to keep them occupied, trust me this will allow things to run smoothly. I suggest have a Kiddie table that hold coloring books, or photo booth props they can plan with. This is the newest trend lately and an amazing one at that. Brainstorm with your soon-to-be love of a hashtag that fits you two and include this on your invitations and display it somewhere at each wedding table so your guests can see it. 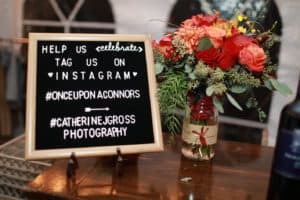 The purpose of this is so when your guests take pictures and include your hashtag you can later go back and see all the pictures they took (aside from your wedding photographer) that you may have missed. Trust me, you are going to want this; your wedding day will be so beautiful and amazing yet it will fly by and there will be pictures you look back on and cherish because you may have missed the moment while you were getting around to everyone. For more information on Wedding Hashtags check out Wedding Hashtag: What do you do with it? Bold, personable, and whimsical are three words that adequately describe the works of art captured behind the lenses of Maine wedding photographer Catherine J. Gross. Every interaction, session, and experience holds an element of uniqueness, as Catherine captures the moment before her with a keen understanding that every moment or person in life is unique and special. 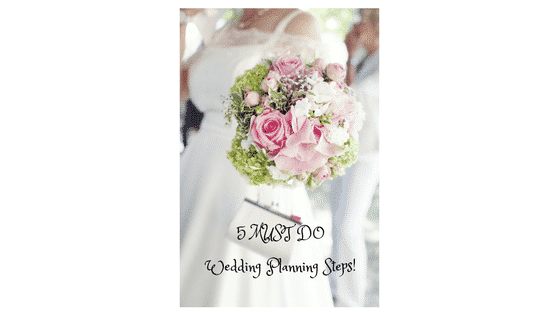 Check out these 5 FREE wedding applications that will make planning your wedding a breeze!